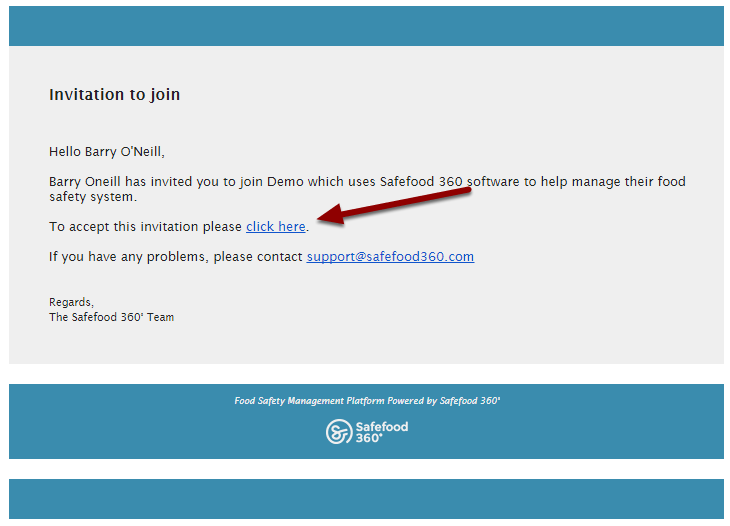 In order to get a user name for Safefood 360° someone will need to invite you. 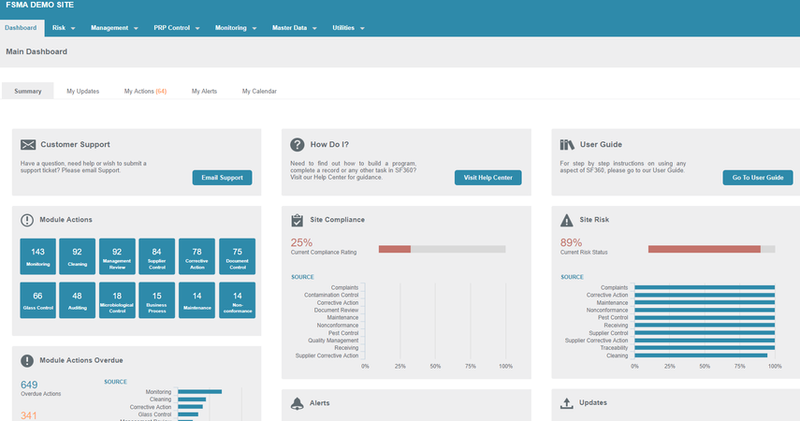 Generally this is a manager or someone in your business whom already has access to Safefood 360°. Just ask them to send you an invitation and follow the steps below. You will receive an email like the picture above from your co-worker. Click on the "click here" link. TIP: If you don't receive an email after ten minutes check your spam folder or any other custom email folders. If it still isn't there, check with your IT department about email filters they may have in place. Have them add safefood360.com to their list of acceptable addresses. 3. That's it! You're ready to use Safefood 360°. Zoom: 3. That's it! You're ready to use Safefood 360°. 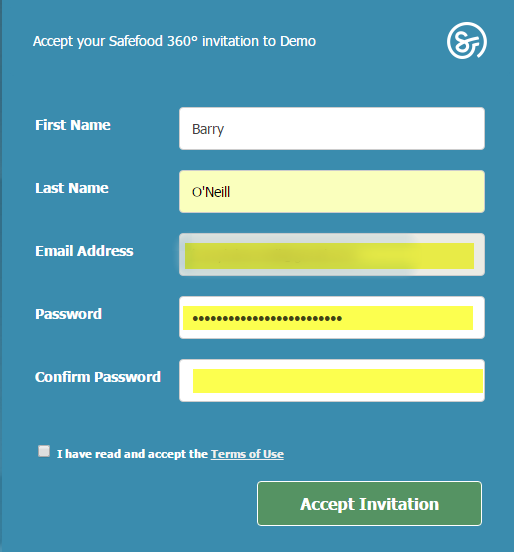 After accepting the invitation the default "Dashboard" page will open and you are ready to use Safefood 360°.